Yes, I'm an atheist.. . Wallpaper and background images in the Atheism club tagged: atheism atheist worship satan don't. "Yes, i am an woman. no, i do not worship satan." "Yes, i am an homosexual. no i do not worship satan." "Yes, i am of another religion,. 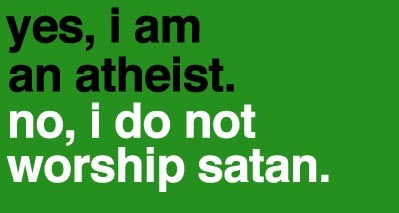 No, i do not worship satan." "yes, i am logical. no i do not worship satan." I should get a t-shirt that says this.